The Minister had told me that she was very impressed with the application received from the Riverbank which enabled her Department to support their ambitious project. The plans when completed will increase the size and accessibility of the theatre with improved access for those with disabilities. 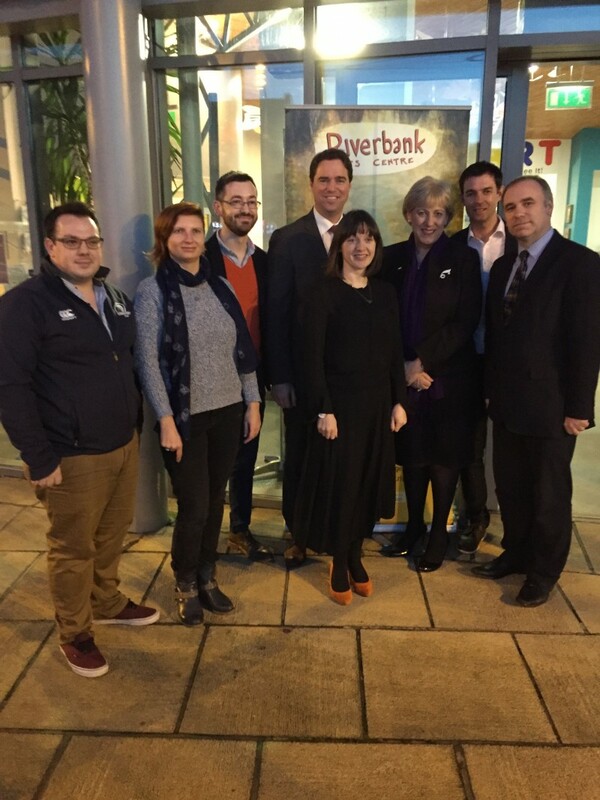 These improvements should also help to increase participation in their many arts and theatre programmes and enhance the Riverbanks position as an integral part of the culture of Newbridge and the County. Linda Geragthy and her team at the Riverbank briefed the Minister on their plans yesterday and showed her around the venue. I was impressed with their plans for children’s programmes in local schools and I look forward to working with them as they move forward with their re-development”.